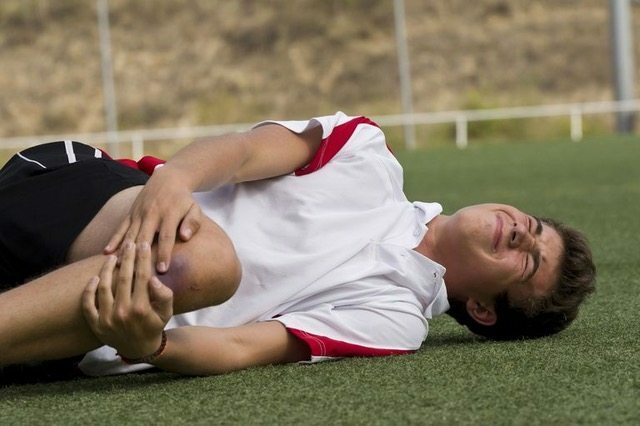 Has your teenage child had ongoing knee pain? Is the pain mainly felt at the bony bump below the knee? Have they had to stop playing sport due to the pain? This could be an Osgood-Schlatter lesion, which is an inflammation of the bone where the tendon attaches below the knee. It’s usually seen during growth spurts, as there is a lot of change in the bones, muscles and tendons at this time. It’s most commonly seen in children playing sports that involve running and jumping and the pain will be aggravated by exercise. Rest is not necessarily the answer. Getting the appropriate physiotherapy exercises can often have quick and lasting effects!